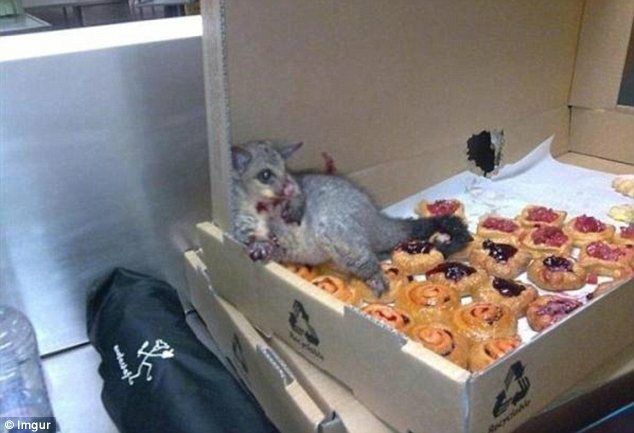 Do you remember that possum who broke into a bakery in Australia and ate all their pastries? Yes? Good. Well, that was basically me before my sugar detox. What do we really know about added sugar? People tend to associate it with cookies, soft drinks and so on. However, Sugar Science’s website states that sugar sneaks itself into over 74 percent of processed foods. This includes bread, pasta, peanut butter and almost all condiments. According to Statistics Canada, the average Canadian consumes 110 grams (26 tablespoons) of added sugar each day. This averages out to around 88 pounds of added sugar each year. In addition, while manufacturers must list the total sugar content of a product, the U.S Food and Drug Administration (FDA) is not legally required to state if this includes added sugars. This makes it difficult to know how much of the total comes from added sugars and how much comes from naturally occurring ones, such as in fruit, vegetables and milk. So why, you’re probably wondering, did I quit sugar in the first place? Sugar used to be the greatest love of my life. As a child, I would pour confectioners’ sugar on top of Frosted Flakes cereal and carry around chocolate bars in my backpack as “snacks.” Growing up, my sugar consumption never really affected me until my second year of university, when I became very sick. I started experiencing acne breakouts for the first time in my life, chronic stomach bloating and constant fatigue and body pain to the point where standing up exhausted me. I spent that summer in and out of hospitals and doctors’ offices to see if my symptoms were due to a medical condition, but all tests were negative. Feeling thankful that I was not seriously wrong, but defeated I was unable to attach a name to my symptoms, I decided to take a holistic approach to my health. I met with a naturopath who helped me created a diet to combat my symptoms; decreasing the inflammation in my body. The first step in my diet was to completely cut out all added sugars. I started this process by ridding my fridge of all products with added sugar and then hitting up the grocery store to start fresh. I was shocked and discouraged to see just how many products were filled with added sugar. Here’s an example of the ingredients in Nature Valley Protein Bars. These used to be one of my go-to snacks. I saw the word “protein” on the package and assumed that it meant “healthy” as well. If we look at the ingredients, this bar has sugar, maltodextrin, corn syrup, tapioca syrup, fructose, rice maltodextrin. This one bar has ten types of highly refined and processed sugars that can cause the stomach and body inflammation that myself (and many others) deal with. Take a look at this list of 56 other names for added sugar. The first week of my sugar detox was absolute hell. I was irritable, angry, unfocused, tired and craving sugar like a drug. I do not consider myself to be someone with a strong will power whatsoever. So, my approach to eating without added sugar was to just go day by day, and sometimes hour by hour. Despite this difficult dietary change, I also noticed my bloating significantly decrease, which was my most painful and chronic symptom. My second week was still difficult, but my new diet was starting to feel a bit more like a routine. I had more energy and I could see my acne start to go down. The hardest part was planning out my meals to take to class and work. It was very time consuming to prepare them and even harder to go out partying with friends. I had to say no to alcohol and those delicious post-club, 3 a.m. A&W runs. Yet, with my body feeling so much better, it was worth it. before slowly reintroducing bits of refined sugar back into my diet, such as dark chocolate and unpasteurized honey. While quitting added sugar is by no means an easy change to implement in your diet, it can be a big help for those struggling with stomach and inflammation problems. Even if you don’t suffer from these issues, cutting out added sugar can be a great way to start eating healthier and improve your physical and mental well-being.